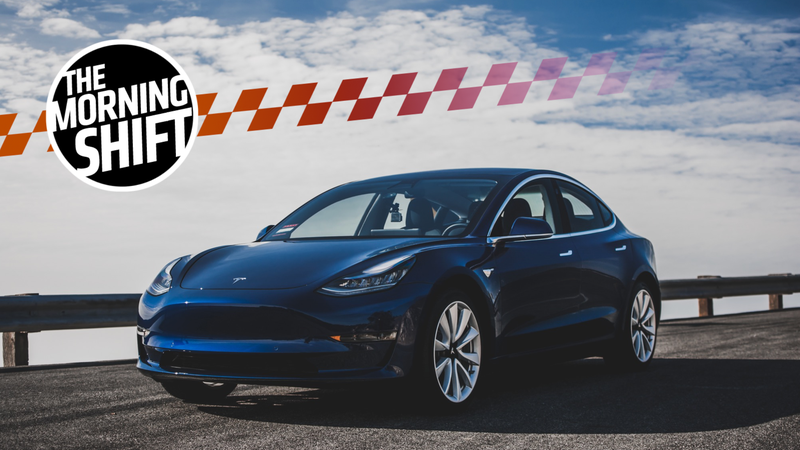 The Tesla Model 3 debuted as Tesla’s car for the mass market, with a starting price of $35,000 and hundreds of thousands of preorders with delivery dates several years from when the orders were made. But the company has added enough options to the car to have a version that starts at $78,000, or about $16,000 more than a base Model S. That moves this version of the car far past its mass-market appeal, but variety seems to be the point. Tesla CEO Elon Musk talked about the more expensive version of the car on Twitter Sunday, saying it would be a dual-motor car with all-wheel drive, a top speed of 155 mph and a 310-mile range. Musk said one motor would be in the front and one in the rear, with one optimized for power and the other for range. He said the car would be about $78,000 with options not including Autopilot, and that it would be quicker and have better handling than a BMW M3. When Model 3 deliveries started in July, Tesla described the $35,000 price for a Model 3 with a standard battery with a 220-mile range before options or incentives. But its focus was on fulfilling orders for customers who wanted longer-range battery packs with faster charging, pushing the price up to about $44,000. The pricey version of the Model 3 is in keeping with Musk’s earlier practices [...] — adding options and higher specifications to help generate cash that can be used to eventually build vehicles for mainstream buyers. Shipping a minimum-cost Model 3 right away “would cause Tesla to lose money and die,” Musk said on Twitter. The company needs three to six months after achieving production of 5,000 units a week before it can ship a $35,000 Model 3 and survive, he said. Oh, those production targets. Tesla keeps missing them. But Nair’s back in the executive game, with Road & Track reporting that he’s now the president and chief operating officer of Multimatic— which builds the new Ford GT, a car Nair had a huge role in. If anything, it might be more fun to build the GT than sue people for reselling it too early. Fiat Chrysler wanted to use software in its diesel engines that was capable of “cycle detection,” meaning it could sense when the vehicle was undergoing emissions evaluations and activate controls to pass tests, Sergio Pasini, the controls and calibration director at supplier VM Motori, wrote in a 2010 email to colleagues. An employee within the automaker’s powertrain division had tried to convince him the software, called “t_engine,” didn’t count as cycle detection. The automaker’s emissions control “will be managed mainly on t_engine which is, no matter what Fiat says, a cycle detection,” Pasini wrote in an email, according to a court document that was unsealed on Wednesday. Things sound like they’ve been dandy at FCA for years. Cobalt shortages will probably happen sooner than expected, which could be bad news for electric vehicles in the next five to seven years. Cobalt is a key battery metal, and Bloomberg reports that it’s more than tripled in price over the past two years. “The long lead time to bring on new mines and the concentration of cobalt reserves in the Democratic Republic of the Congo mean there is a real possibility of supply shocks in the early 2020s,” the BNEF analysts said. The DRC accounts for more than two-thirds of mined output, according to trading firm Darton Commodities. Projections of sharply rising demand for cobalt have spurred efforts to develop new mines, stockpiling by speculators and work to reduce the amount used in rechargeable batteries. Automakers that plan to rapidly expand EV fleets are already aware of dangers of supply scarcity, according to BMW AG. Electric vehicles are forecast to achieve cost parity with gasoline engine models in the mid-2020s and by 2040 will account for a third of the global fleet, BNEF said in its report. Bloomberg has more on it here. Hyundai Motor Group had a rather expensive $8.8-billion restructuring plan in the works, which would’ve given its current chairman’s son more control. But Reuters reports that investors, like U.S. hedge fund Elliott Management, weren’t about all of that, and Hyundai dropped the plan. The decision is a rare victory for an activist shareholder in South Korea, and comes at a time of growing public scrutiny of families controlling large conglomerates following a corruption scandal last year involving the Samsung Group. Auto parts maker Hyundai Mobis Co Ltd, which controls Hyundai Motor Co, on Monday cited “uncertainty” about shareholder support for a restructuring plan at a meeting next week. The plan will be “supplement[ed] and improve[d]” since it wasn’t received well, but Reuters reports that it’s still part of a broader plan to reform its ownership structure, reduce regulatory risk and prepare for a father-son power switch. Amelia Earhart landed in a pasture in Ireland on May 21, 1932, according to History, becoming the first woman to complete a transatlantic flight. Charles Lindbergh became the first pilot to ever do that just five years before, and according to History, Earhart did more than 2,000 miles in under 15 hours. Neutral: Would You Go For A Model 3 Or An M3?